“Ultra-wide field-of-view”, “Extended depth of focus”, “High spatial resolution”, “Ultra-long working distance”. These 4 values inside the minimum body enable diverse Raman spectroscopic analysis. 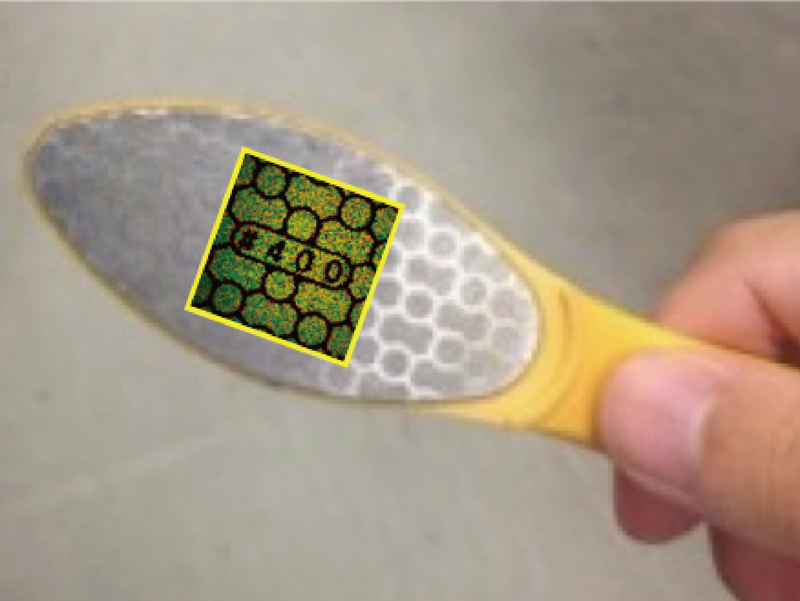 More than 800 mm2 is analyzed without moving the sample. 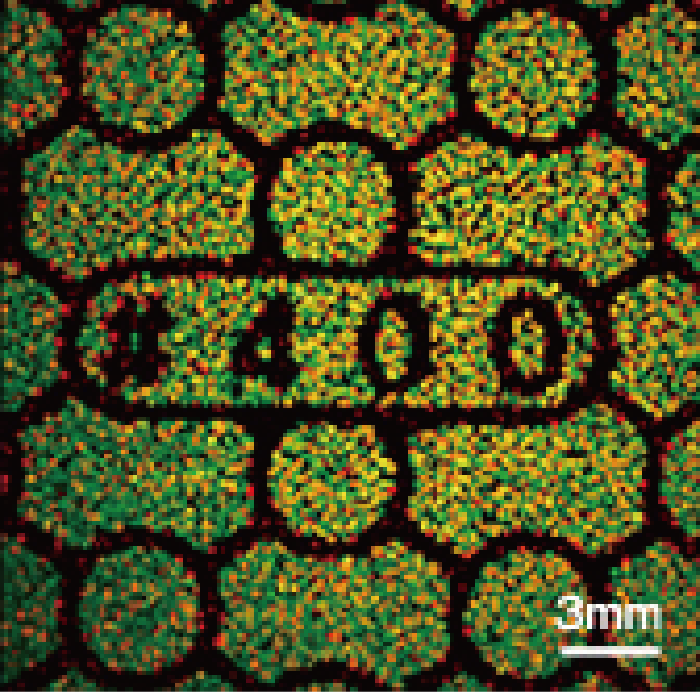 The dedicated optical system creates a high precision spot size, which facilitates a spatial resolution of up to 2.5 μm (see right figure) with the 2x objective lens. 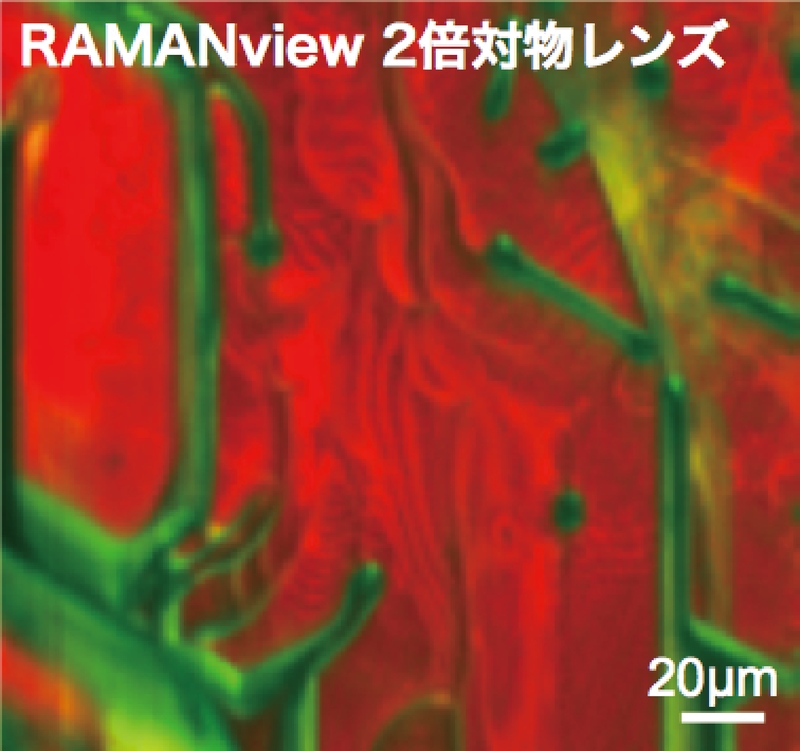 RAMANview also stands for very fast Raman imaging in a micro scale range. Ultra-long working distance extends the measurement scene. 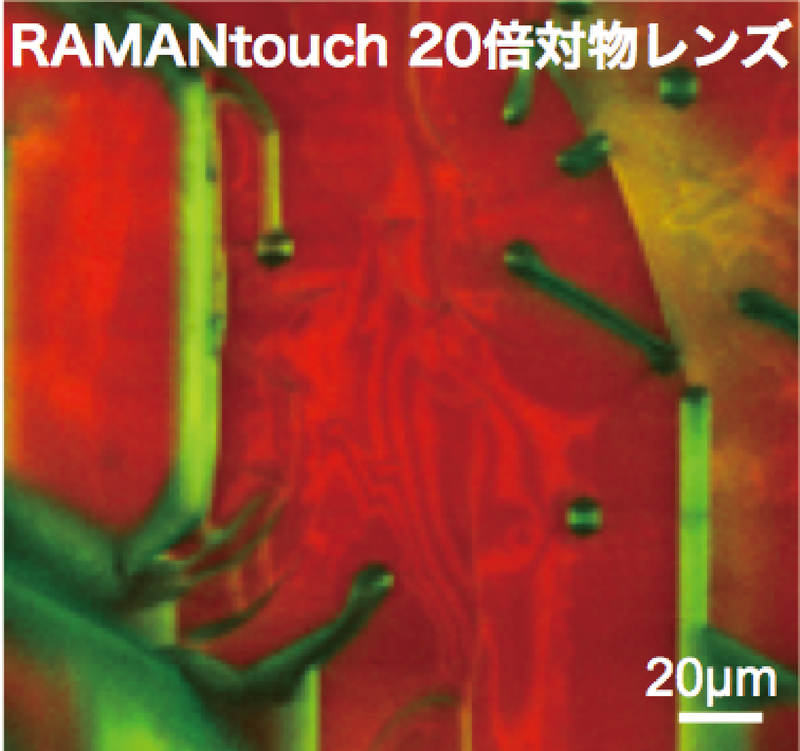 Right: By conventional Raman microscope.